Vancouver, Canada, January 18, 2017 – Metabones unveils 4 new products on the fifth anniversary of the original Smart Adapter. They are EF to E CINE Smart Adapter™, EF to E CINE Speed Booster ULTRA, EF to E Smart Adapter V and EF to E Speed Booster ULTRA II. All 4 new products are equipped with a rubber gasket to protect the E-mount connection from dust and moisture. To promote ease-of-use, an LED indicates the adapter’s operation mode, optical image stabilization operation and communication status. A dedicated switch controls in-body image stabilization (IBIS) on Sony cameras equipped with SteadyShot INSIDE. 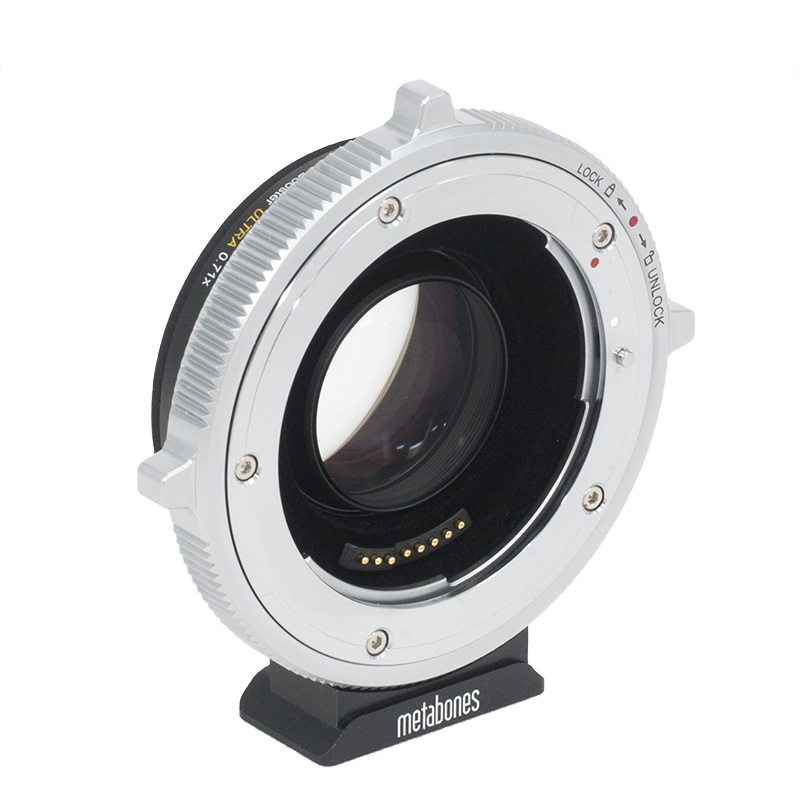 Metabones recounts the beginnings of the world’s first fully electronic EF to E mount adapter 5 years ago, with only aperture control and auto-magnify (requires lens with distance information) but no autofocus support back then. Over the years firmware work has significantly expanded its capabilities. Today, the very same original Smart Adapter, though long discontinued, can still be upgraded to leverage the latest firmware benefits such as smooth iris (lens support required), fast contrast detection autofocus on all E-mount cameras, eye-AF, direct manual focus (DMF), zoom and distance display (requires lens with distance information), assignable custom button and 5-axis image stabilization (requires camera support). · Auto “APS-C Size Capture” on full-frame cameras.